Increasing support and gaining recognition for supervisor work is at the heart of our advocacy work. As part of this work, GPSA represents supervisors on vocational training standards and accreditation matters and at major health forums and conferences. 3. Challenges with reporting to RTPs on registrar training progress. We love photos! 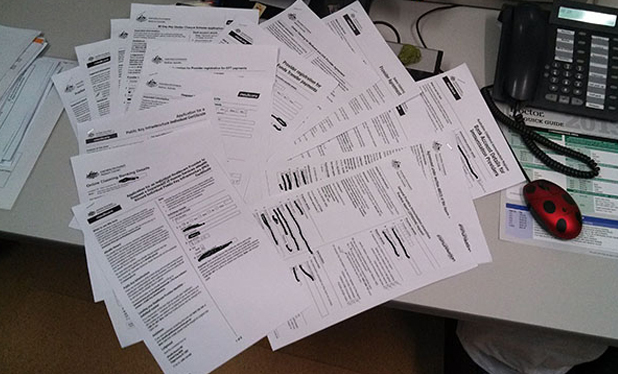 Dr. Rohan Gay (Metro WA) sent us the picture below of the paperwork required for taking on just one doctor under Medicare alone – and will be duplicated for other agencies who require the same paperwork. If you have interesting photos like the one above, please don’t hesitate to send us your photos with permission to use them for lobbying government. The numbers of registrars in GP training have doubled since 2006, yet some areas still suffer GP shortage while others have an oversupply. This problem is always on our radar. We promote a “home grown” or “bloom where you’re planted” solution. This involves finding new rural training options where rurally-committed medical students and registrars are trained in well-equipped practices with experienced supervisors. Registrars would also be supported in collaboration with regional hospital specialists and a university. From our GPSA Survey, we compiled some interesting statistics from our membership database regarding supervision. We discovered that 64% of supervisors said the primary reason for supervising registrars was to “watch the development of their registrars”. This was an overwhelmingly positive response from members, and will encourage future supervisors and registrars. We thank everyone that participated in our recent survey. We are excited about the upcoming research opportunities that the results have given us. GPSA is currently looking into changes to operations with reference to the results of the survey. From the survey, we can also derive results that outline an increased complexity of GP training. This is putting more demands on supervisor workloads and on training practices throughout Australia. GPSA is asking for increased government measures to help general practices accommodate the growing number of medical students, interns and registrars. Our webinars will be attempting to address some of the complex issues that supervisors are facing. Invitations to upcoming webinars will be circulated via email. 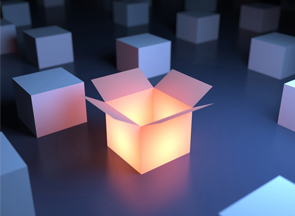 Have GP training standards impacted you or your practice?